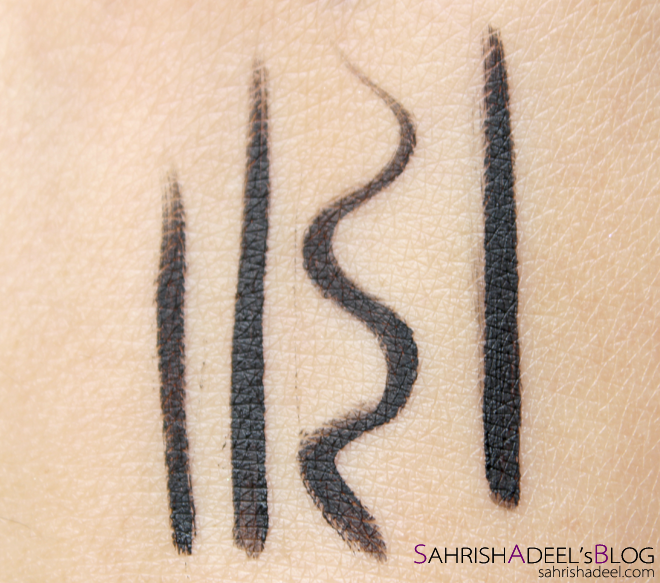 Sleek Makeup Ink Pot Eyeliner - Review & Swatch | Sahrish Adeel - Malaysia based Pakistani Beauty & Lifestyle Blogger! I am a huge fan of gel liners; from application to finish to staying power [for certain brands], everything makes me go for gel liners more than pencil, liquid or pen liners. 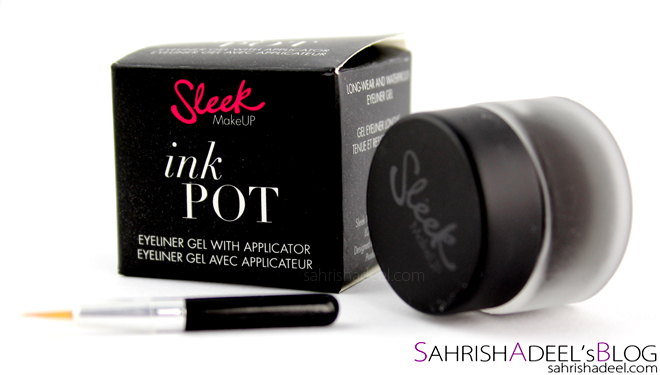 Let's see if Sleek's Ink Pot Gel Liner impressed me at all. 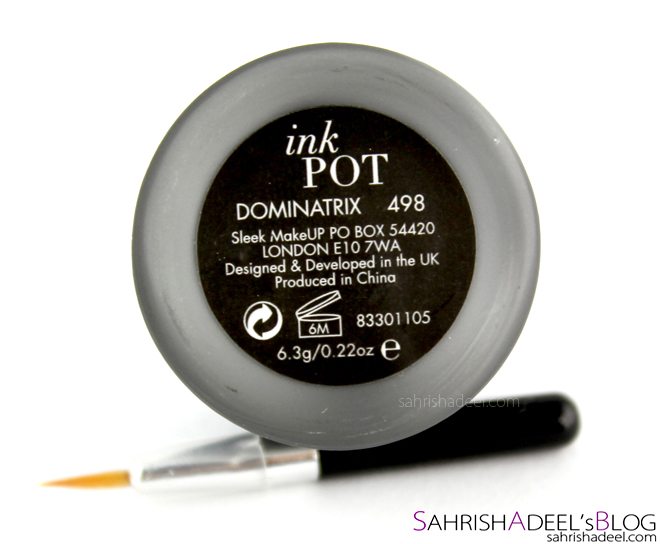 This gel liner comes in a glass pot with a plastic lid and a pointy eyeliner brush. The product is creamy and the pot contains 6.3 grams of product. This gel liner has a great consistency and it had stayed with me for over 10 months without changing the consistency, let alone drying. The formula is creamy making the liner glide over the skin really smoothly. The brush that comes with the pot has a good point but it is way too small for me so I have been using this liner with Kryolan's 0 [zero] number brush; this brush is a must have for eyeliner application and it is just so budget friendly. The gel liner dries in a few seconds and becomes smudge free. If applied directly to the lids without any eye shadow or eye primer, it starts to shift in about 1-2 hours but that is normal for me with almost every other gel liner since I have oily lids. If applied over an eye primer, the liner will not budge throughout the day. 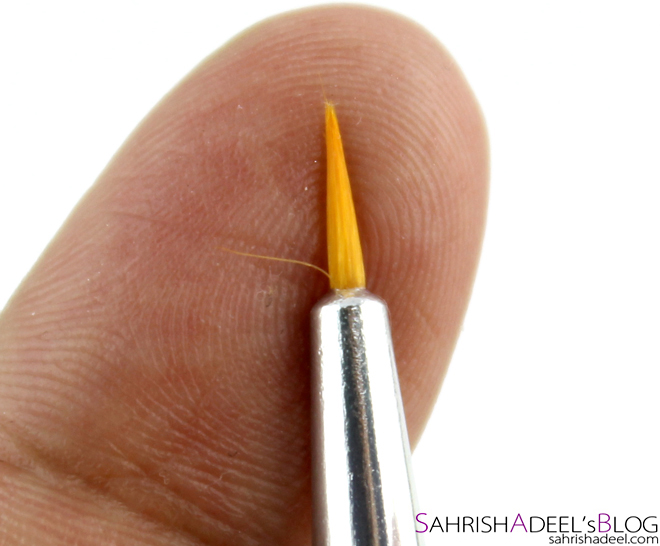 If applied over an eyeshadow to give the liner a powder base, it stays without budging or smudging for good 4-6 hours. Once the gel liner is dried, it gets to a matte finish and becomes water resistant. Again, it does not smudge but rubbing the eye would make any eyeliner messed up. My Essence Gel Liner is the best gel liner that I ever bought but just like that one, Sleek one also irritates my eyes if I apply it on my waterline. Overall, I am happy with this gel liner and if you are a Sleek fan, you should get one for yourself. 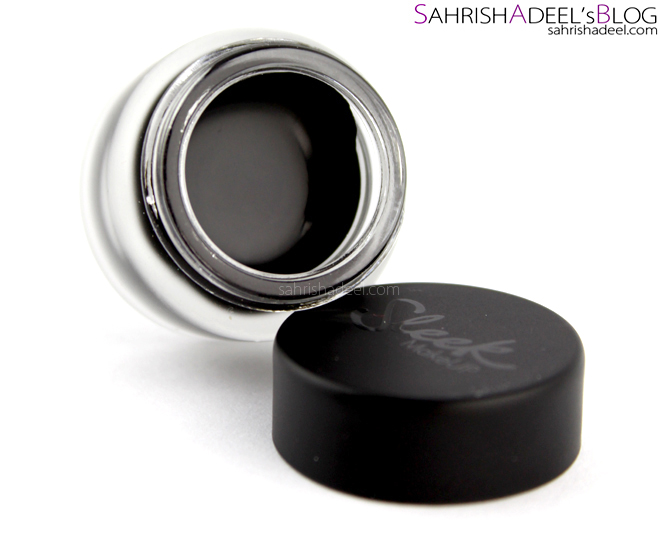 Sleek Makeup Ink Pot Eyeliner costs $6.99 and you can buy it directly from Sleek's website, they ship worldwide. There are many Facebook and Web Stores that carry Sleek Makeup and ordering from them might save you some shipping cost plus you won't have to worry about broken items and lost packages. Do you have a favorite gel liner? Share your experience.